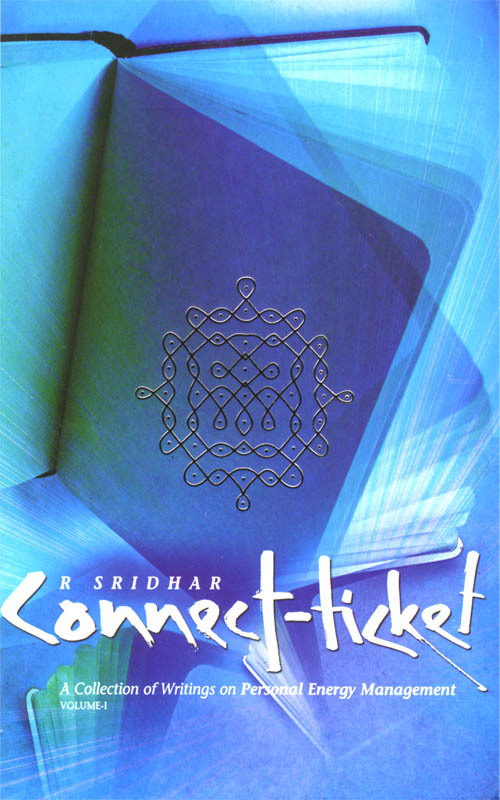 Connect-Ticket is a compilation of my column on spirituality and metaphysics that R Sridhar has been writing for the past ten years. These articles were the genesis for the Connect-Ticket Group. 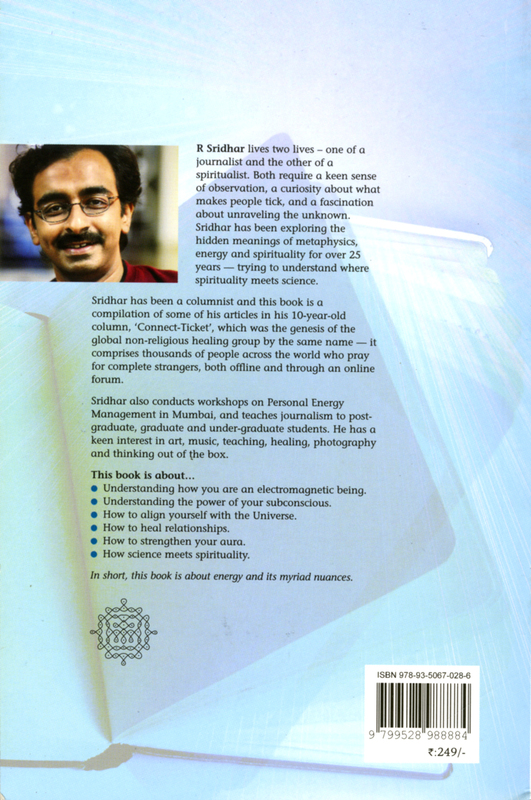 What’s unique about the book is that each chapter is only 2 pages, and the book has been ‘programmed’ to answer a nagging query in the reader’s mind. Just still yourself and randomly open a page. 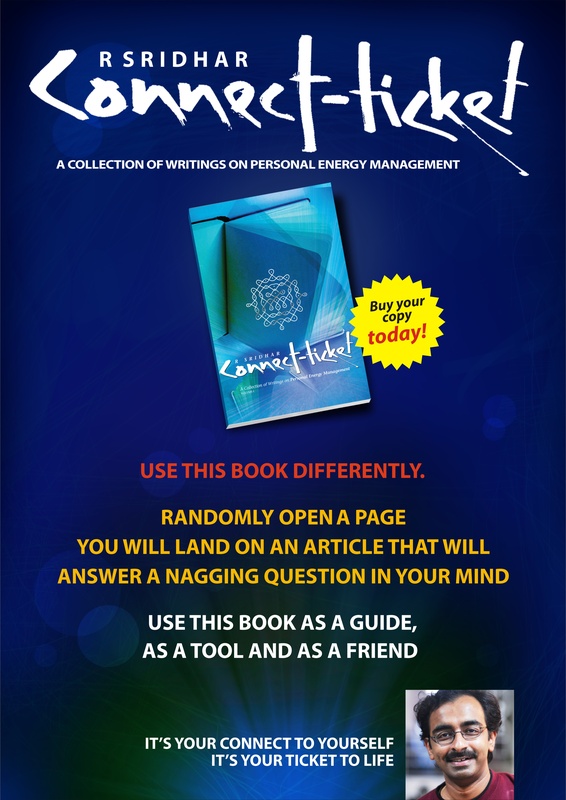 You will invariably land on words that will be relevant to you at that point in time in your life! Try it out, it works! This book is not meant to be read like a novel. It’s to be used more like a friend and a guide.